Allison Warmuth loved her red moped. It was her favorite way to get around Boston, and she had only recently gotten it out of the shop when she picked a friend up for brunch Saturday morning — eager to take a ride and enjoy the spring weather. Her parents had worried about Warmuth’s safety on the small vehicle amid the city’s hectic traffic and had even given her a bright yellow biking jacket to increase her visibility. Now loved ones are wondering whether the garment could have prevented the crash that claimed her life. 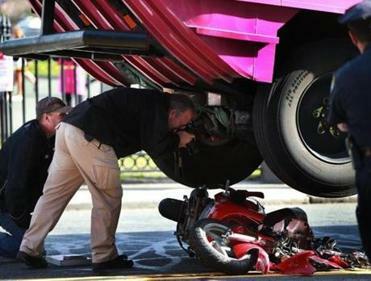 “If she had that coat on she might still be with us,” her mother, Martha, said Sunday, a day after a duck boat ran over Allison’s moped near her Beacon Hill home, killing the 28-year-old insurance underwriter. Martha and Ivan Warmuth said in a telephone interview Sunday that their daughter was an adventurer who enjoyed running, skiing, and golfing. She was preparing for a sprint triathlon, and she knitted in what remained of her spare time. A 29-year-old woman was killed Saturday after the motor scooter she was operating collided with a duck boat. The victim’s parents spoke as Boston police continued to investigate the crash, which happened around 11:30 a.m. at the intersection of Beacon and Charles streets. Her friend, a 32-year-old man, was not seriously injured. The duck boat driver has not been charged. Police have not identified any of the people involved in the crash, but Warmuth’s parents confirmed that she was the victim. One of three daughters, Warmuth moved to Boston about five years ago after she landed a job with Lexington Insurance Company, where she was a senior underwriter for hospitals and large medical practices, her father said. She started the job at 22 after she completed an internship during her junior year at Messiah College, a Christian school in Pennsylvania. At work, she traveled to various facilities and wrote multimillion-dollar policies for hospitals, Ivan Warmuth said. “We are deeply saddened by the passing of our colleague,’’ the statement said. While juggling work, Warmuth studied for her business school entrance exams and took them a month ago, her parents said. She celebrated the achievement with a dinner at Per Se, an upscale New American and French restaurant in New York City. 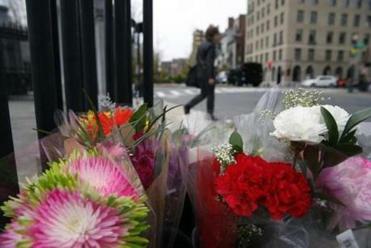 A box of flowers sat at the scene of Saturday's fatal crash involving a duck boat and a woman riding a scooter in Boston. Warmuth had planned to apply to business schools and was set to accept a promotion with Lexington in Chicago, her parents said. Martha Warmuth said she had recently sent Allison a message that said: “I’m so proud of you. Born and raised in Ohio, she also lived in Quebec City and Plattsburgh, N.Y.
She grew up cliff jumping in the Adirondack Mountains, her father said. And in 2014 for his 60th birthday, he and his daughter went skydiving at Jumptown in Orange. Martha Warmuth said her daughter had also dreamed of becoming a contestant on a “Survivor”-style reality show. “She was an amazing daughter,” Ivan Warmuth said, his voice cracking during a phone call from Hawaii, where he and Martha had been visiting. The couple live in Plattsburgh. Allison also volunteered at the Women’s Lunch Place, a shelter for women and children in the Back Bay. Martha Warmuth said her youngest daughter goes to school in the Boston area and had been planning to join Allison Warmuth for dinner Saturday. Instead, she spent the day by her sister’s bedside. Allison’s parents are now planning to return from Hawaii. They are hoping to have answers soon about what went wrong. The duck boat Penelope Pru was stopped at a red light on Charles Street waiting to turn onto Beacon Hill with as many as 28 passengers on board. 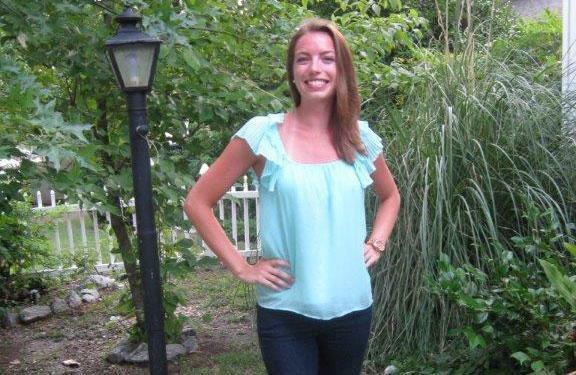 Witnesses told the Globe Saturday that Allison Warmuth tried to accelerate when the duck boat began moving behind her. People shouted for the duck boat driver to stop, but when it finally did it was too late. Warmuth and her friend both had helmets at the time of the crash, police said. The duck boat driver and passengers were questioned by police. As the investigation continues, heartbroken family members are remembering Allison Warmuth’s spirit of kindness and optimism. Jan Ransom can be reached at jan.ransom@globe.com. Follow her on Twitter @Jan_Ransom.